The Abelmoschus esculentus (Malvaceae) plant originated in Africa and has spread across a number of tropic countries, including northeastern Brazil. The plant has been used to treat various disorders, such as cancer, microbial infections, hypoglycemia, constipation, urine retention and inflammation. The lectin of A. esculentus (AEL) was isolated by precipitation with ammonium sulfate at a saturation level of 30/60 and purified by ion exchange chromatography (Sephacel-DEAE). The electrophoresis (SDS-PAGE) profile of the AEL showed two protein bands of apparent molecular mass of approximately 15.0 and 21.0 kDa. 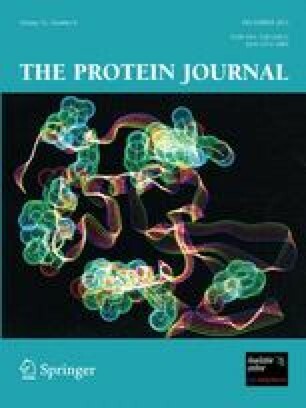 The homogenity of the protein was confirmed by electrospray mass spectrometry (ESI-MS), which revealed the presence of a 10.29-kDa monomer and a 20.58-kDa dimer. The AEL exhibits agglutinating activity against rabbit (74.41 UH/mP) and human type ABO erythrocytes (21.00 UH/mP). This activity does not require the presence of divalent cations and is specifically inhibited by lactose, fructose and mannose. The intravenous treatment with 0.01, 0.1 and 1 mg/kg of AEL inhibited the paw edema elicited by carrageenan by approximately 15, 22 and 44 %, respectively, but not that induced by dextran. In addition, treatment with 0.1, 1 and 10 mg/kg of AEL also inhibited the abdominal writhing induced by acetic acid by approximately 52, 57 and 69 %, respectively. In conclusion, AEL is a new lectin with a molecular mass of 20.0 kDa, which is -composed of a 10.291-Da monomer and a 20.582-kDa dimer, that exhibits anti-inflammatory, antinociceptive and hemagglutinating activities. In addition, the lectin hemagglutinating property is both metallo-independent and associated with the lectin domain. This work was supported by Conselho Nacional de Desenvolvimento Científico e Tecnológico (CNPq) and Coordenação de Aperfeiçoamento de Pessoal de Nível Superior (CAPES). B.S. Cavada, P. Delatorre and A.M.S. Assreuy are senior investigators of CNPq/Brazil.